A fishing trip in Sydney, Darwin, Moreton Island, Lizard Island and Hobart is something you'll never forget. In fact, fishing charters make a great gift and you can hook yourself a winner and show off in front of your mates. Deep sea fishing and game fishing in Sydney, Perth, Melbourne, Gold Coast and Darwin should be at the top of your fishing trip adventures! They are great fun and an experience best shared with friends or family. Fishing charters enable you to get where you need to be to catch the big one. So if you're in to deep sea fishing, trying to win a competition in game fishing or just want to experience a fishing trip with mates, a fishing charter adventure is what you need. 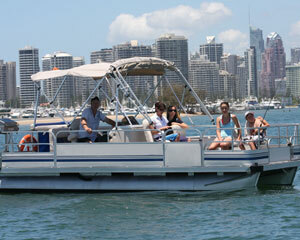 Step aboard MV Yarranabbe and cruise the harbour in style. This exceptional 60' motor cruiser has been built to offer superlative luxury for the discerning guest. With an alluring interior, impeccably finished in Kauri Pine and butter-soft leather for a premium level of comfort. The waters off the coast of Sydney are teeming with wildlife. During this day cruise you'll get the rare opportunity to see these creatures in their natural habitat - dolphins, whales, sharks and the wandering albatross. Learn more about the animals that help make our planet such an amazing place. This Blue Mountains Private Safari sees you sleeping under the stars for a very unique experience. A guide will drive two people from Sydney, and personally show you through your choice of perfect mountain activities. Choose fly fishing, guided-walks... three people on a journey of discovery. Blue water challenge st thomas & costa rica r4 sealed. Join us for a full day of trolling on Lake Jindabyne. Trolling is probably the easiest and most productive way to catch a trout or salmon. Our experienced guides and fully equipped boat will give you the best opportunity to hookup to a good trout or salmon and all in all have a great day. A camel ride is the ultimate bush experience! Enjoy our overnight camel safari in the beautiful Flinders Ranges. Watch the night sky come alive with the Milky Way, see if you can pinpoint South by the Southern Cross. This mountain getaway will have you and your partner relaxing in your own secluded luxury spa chalet, nestled amongst beautiful Russian birch trees in Victoria's north-east. Sit on your sheltered verandah and take in elevated mountain and valley views or enjoy a soak in your deep couples' spa bath! This deep sea fishing trip off Sydney is a great day out for experienced anglers or adventurers alike wishing to tackle the big ones! Watch Sydney shrink to a speck as you travel out into to the deep blue waters of the continental shelf some 45 km offshore. How many places throughout the world can you swim with wild dolphins AND seals? Now many, but you can do it right here, with Sea All Dolphin Swims in Queenscliff. 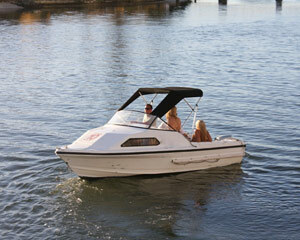 Imagine it - calm seas, clear water, warm sun, great company and a friendly crew. Fantastic! You've just got to do it! Escape the crowds with a small and friendly group as we take you on an unforgettable cruise into the sheltered crystal clear waters of Moreton Island and its Marine Park. This haven is home to many playful dolphins, the rare and shy dugongs, huge sea turtles and even humpback whales! Experience a guided estuary fishing charter with `Dazzling Daza`. We supply all rods and reels, bait and tackle, cool and hot drinks. Throughout the morning or afternoon we'll show you all the tips and tricks of fishing and of course, catch plenty of fish! Get hooked on bluewater fishing with us. Sportsfish North Australia's pristine blue water destinations with our experienced local crew.Enjoy a smorgasbord lunch with morning and afternoon tea provided and with all tackle supplied. Take a wonderful family fishing trip on one of Queensland's most pristine fishing areas, with over 40km of the Noosa River. Enjoy the waterways, admire the rare native bird life and you'll even get to pull up a few crab pots and taste the legendary Queensland Mud or Blue Swimmer Crab. Fish one of Queensland's most pristine fishing areas, with over 40km of the Noosa River. Enjoy the waterways, admire the rare native bird life and you'll even get to pull up a few crab pots and taste the legendary Queensland Mud or Blue Swimmer Crab. Gather up to 10 mates or colleagues and take a fishing trip on one of Queensland's most pristine fishing areas, with over 40km of the Noosa River. Enjoy the waterways, admire the rare native bird life and pull up a few crab pots and taste the legendary Queensland Mud or Blue Swimmer Crab. Experience the thrill of landing some of the finest eating and fighting fish during your full day fishing adventure. You will board the most technologically advanced vessel in Far North QLD, ensuring you spend more time fishing by taking you quickly and comfortably to the best fishing playgrounds!